This blog post has been nine months in the making! 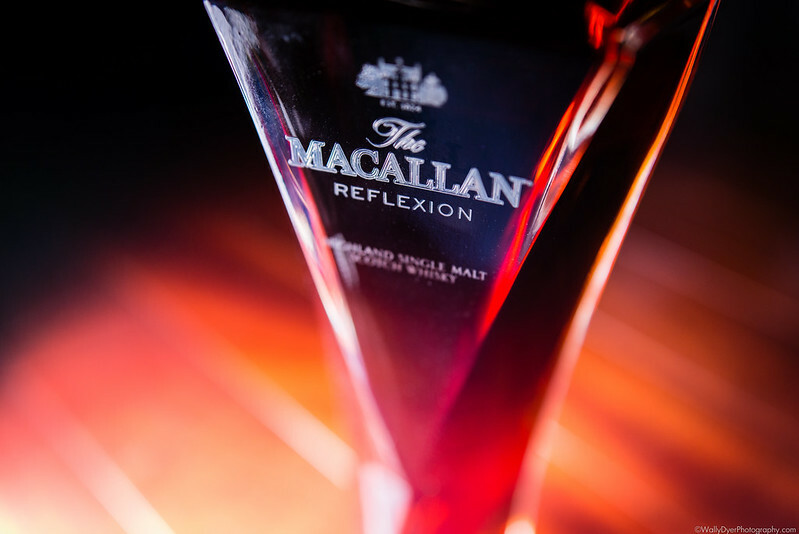 It’s a whisky-blog baby! 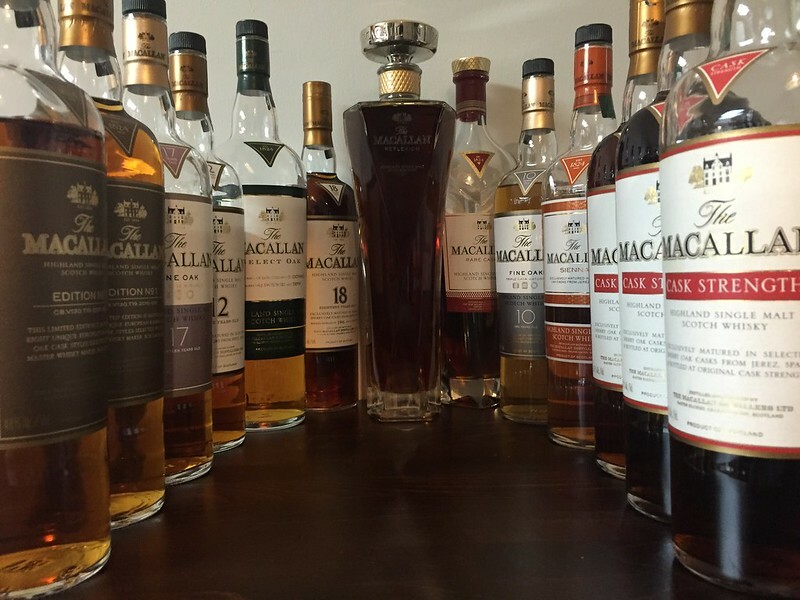 [Scotch] and I were raised to make a big deal out of birthdays. Not necessarily in terms of parties and extravagance but we were raised to spend birthdays as a celebration of family. Because of that, we generally tend to plan for birthdays way too far in advance. Where am I going with this? Fast forward to the second to last weekend in August! 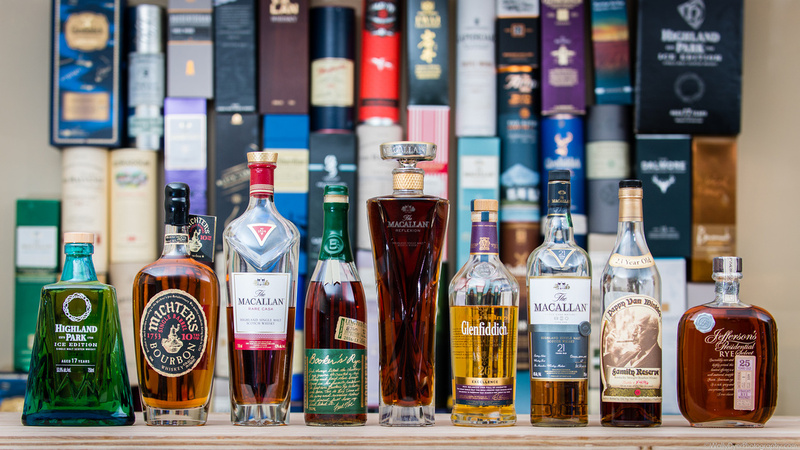 I invited a handful of friends to join me in celebrating another year on this planet by sipping whisky with me! (Four of us have August birthdays!) 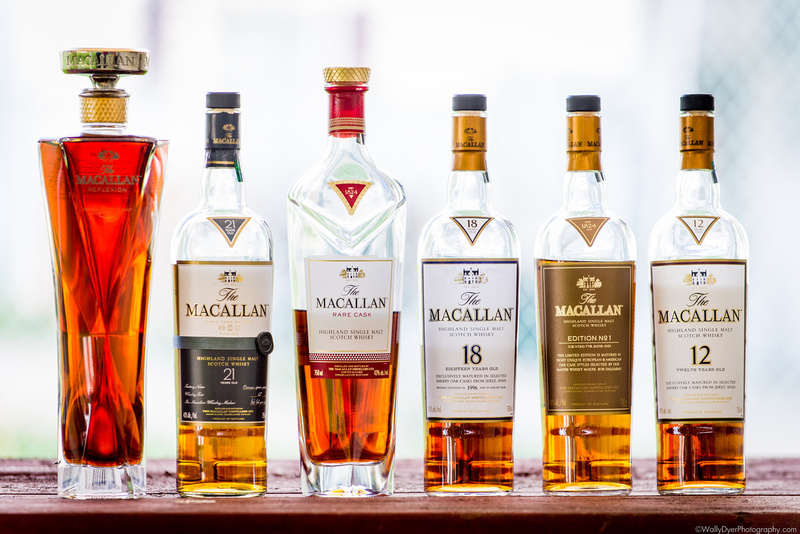 We had a handful of bottles to sample that I’ve been collecting for the last two and a half years (including Pappy Van Winkle 23, Macallan Reflexion, Macallan 21 Fine Oak, Macallan Rare Cask, Michters 10 Bourbon, Glenfiddich 26, Bookers Rye, Highland Park Ice, and Jeffersons 25 year rye). I wanted to share them all with some of my friends. COLOR: Reddish brownish gold, like lightly used motor oil or toasted cinnamon sticks. 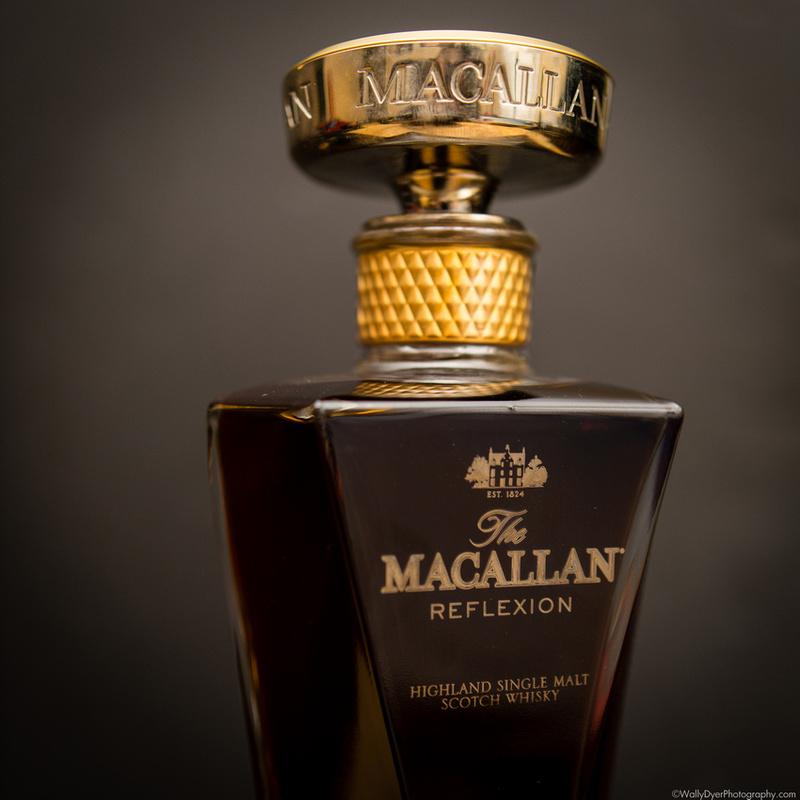 NOSE: SHERRY, the nose reeks of a candied vanilla caramel mixed in with tons of Macallan’s signature sherry bomb. 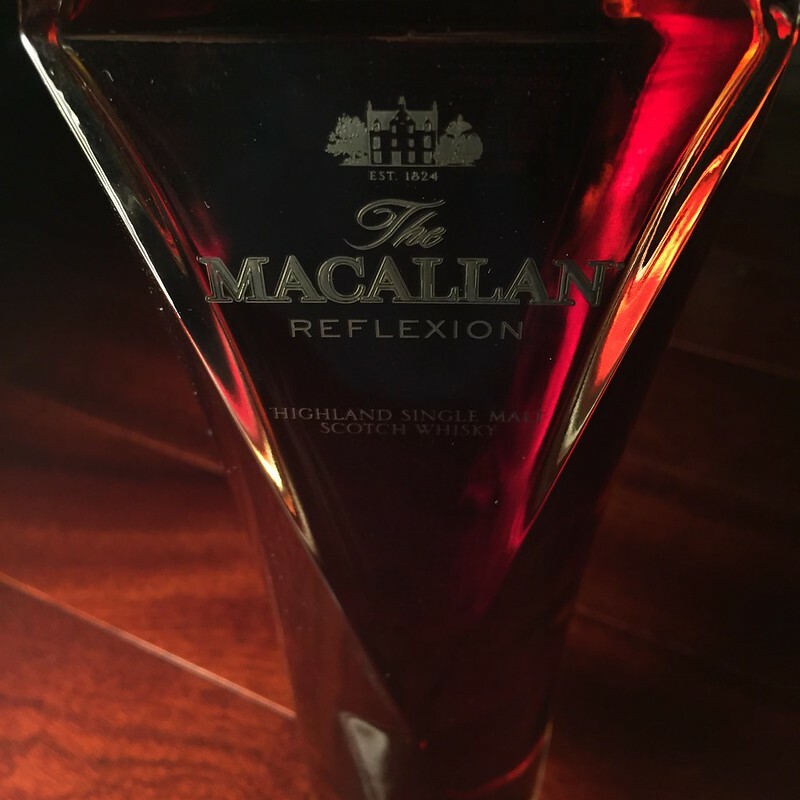 PALATE: Ridiculously smooth and viscous, it has an ever so slight edge of burn, orange sweet-vanilla marmalade, subdued Sherry spices. 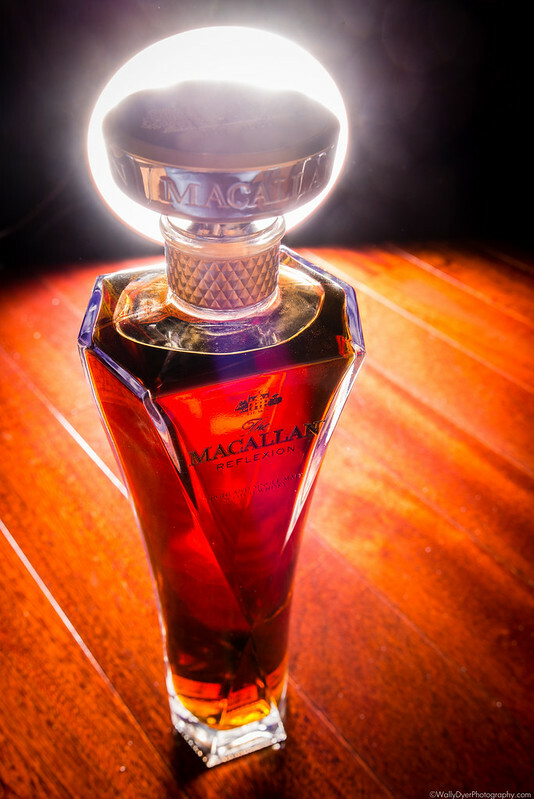 You’re rewarded for chewing this delectable dram. 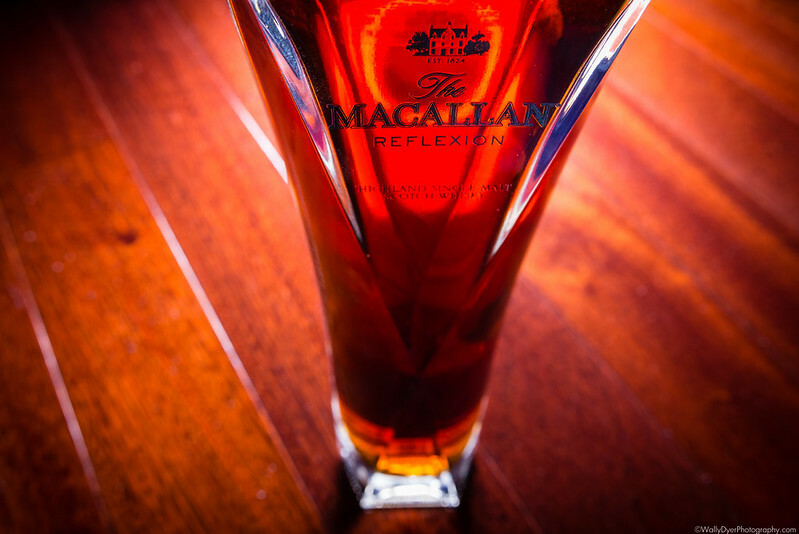 It’s like the best of bourbon and sherry melded together with the velvety mouthfeel of some of my favorite pours. Finish: The Sherry spices are revisited ten fold blossoming into freshly cracked white pepper, sherry, and light touches of oak. It’s just slightly tannic but not unpleasant in any way. 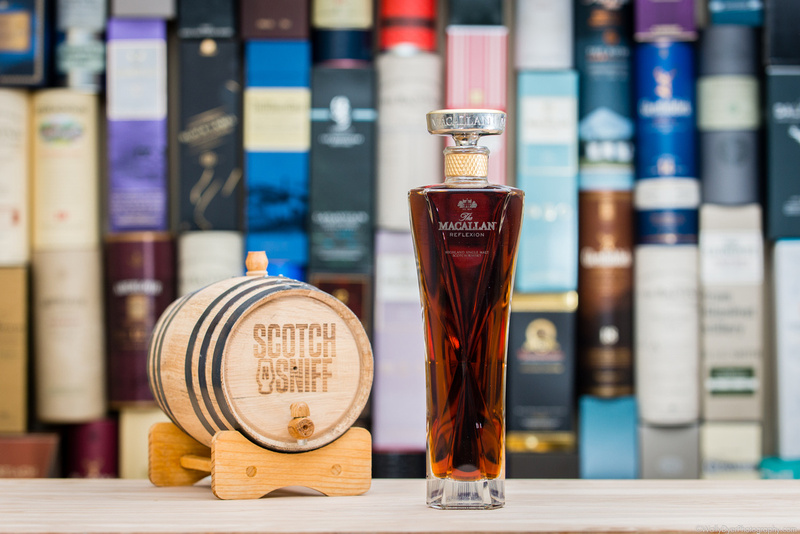 If you love sherry, you probably already love Macallan. This citrus-y vanilla mix is no exception to their family of tasty offerings. 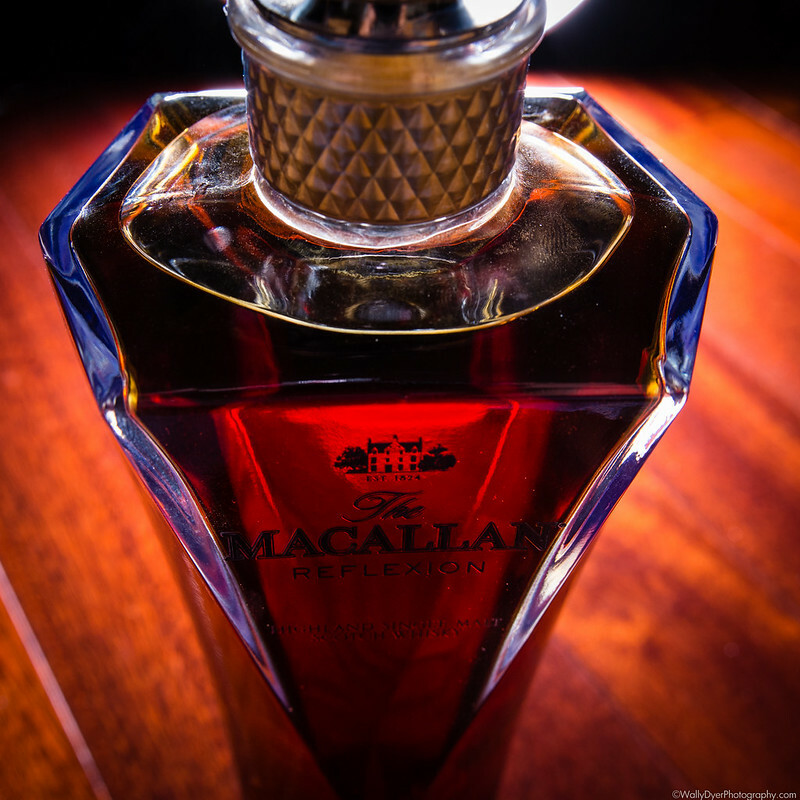 The signature notes that Macallan is famous for are all here but in a formula that exudes softness and elegance. 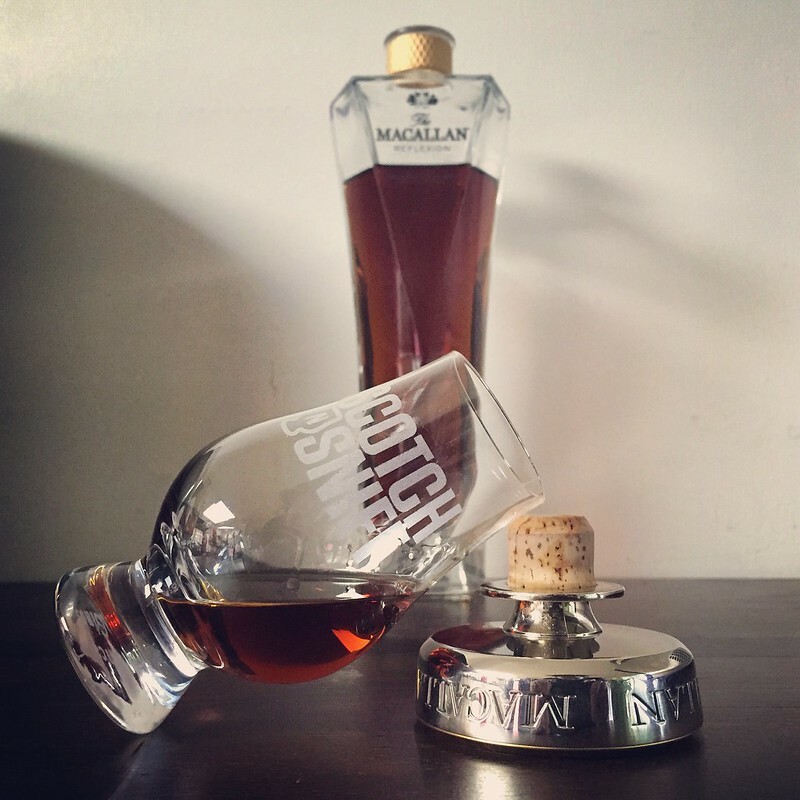 The bottle is a metaphor, really.